A jeremiad is a speech or literary work expressing a bitter lament or a righteous prophecy of doom. Adjective: jeremiadic. The term is derived from the Old Testament prophet Jeremiah, author of the Book of Jeremiah and the Book of Lamentations. 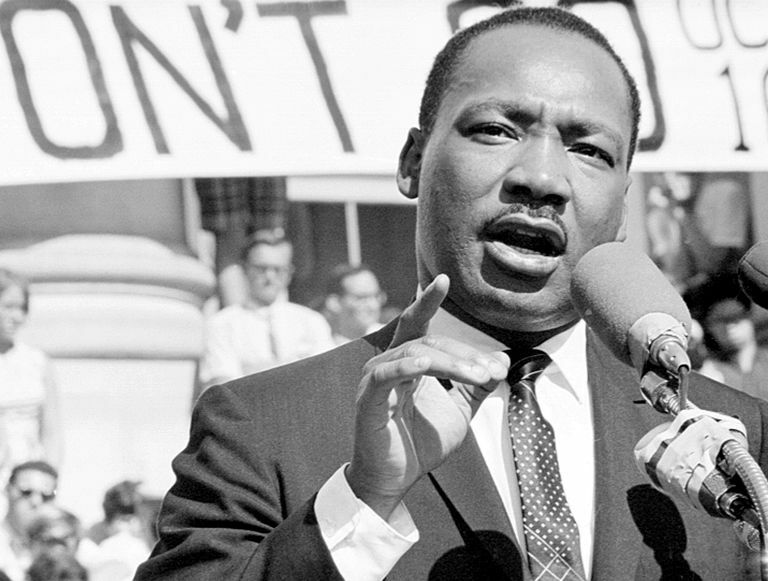 "I Have a Dream," by Martin Luther King, Jr.
"Despite the connection with [the] Hebraic tradition, the jeremiad is not the unique property of any particular culture. Narratives of decline, chastisement, and renewal appear across time, culture, religion, and geography, from classical Asian and Western cultures to yesterday's news. The sacred texts of many religious traditions lament declining moral and spiritual standards, and hold out hope for renewal and revival, if only the community will see the error of its ways. The Protestant Reformation. for example, was driven in large part by the search for a lost pristine, uncorrupted church. And a variety of social movements depend upon sharp contrasts between a degenerate present and a glorious past." "Jeremiadic discourse has always been a distinguishing construction that exchanged with cultures and governments to aid in the shaping of an idyllic society. In these moralistic texts, the authors acrimoniously lamented the condition of society and its morals in a stern tenor of sustained invective and utilized prophecy as a means of predicting society's ominous demise." Woe to us for we are undone! But vivid, apocalyptic language can be used to tell nonjeremiadic stories, and jeremiadic logic can be conveyed in dispassionate, if nonetheless disquieting, language." "The American jeremiad is a rhetoric of indignation, expressing deep dissatisfaction and urgently challenging the nation to reform. The term jeremiad, meaning a lamentation or doleful complaint, derives from the biblical prophet, Jeremiah . . .. Although Jeremiah denounced Israel's wickedness and foresaw tribulation in the near-term, he also looked forward to the nation's repentance and restoration in a future golden age. . . .
"Voiced by Frederick Douglass between 1863 and 1872 and Martin Luther King, Jr., between 1955 and 1965, compelling black moral appeals to Americans were instrumental in creating climates of opinion needed for making substantial social, legal, and political gains. Douglass and King used the powerful ritual of the jeremiad to legitimate the goals that they sought, raise guilt among white Americans, and demand social change." "It is fascinating to see how closely the jeremiadic structure of [Rachel] Carson's book [Silent Spring]--which begins with 'A Fable for Tomorrow' that projects a bleak future if present behavior continues and eventually concludes with the more optimistic alternative in 'The Open Road'--resembles the structure of Jonathan Edwards' late sermon, 'Sinners in the Hands of an Angry God.'" Passage From the Jeremiad "Sinners in the Hands of an Angry God"
"It is everlasting wrath. It would be dreadful to suffer this fierceness and wrath of Almighty God one moment; but you must suffer it to all eternity. There will be no end to this exquisite horrible misery. When you look forward, you shall see a long for ever, a boundless duration before you, which will swallow up your thoughts, and amaze your soul; and you will absolutely despair of ever having any deliverance, any end, any mitigation, any rest at all. You will know certainly that you must wear out long ages, millions of millions of ages, in wrestling and conflicting with this almighty merciless vengeance; and then when you have so done, when so many ages have actually been spent by you in this manner, you will know that all is but a point to what remains. So that your punishment will indeed be infinite. Oh, who can express what the state of a soul in such circumstances is! All that we can possibly say about it, gives but a very feeble, faint representation of it; it is inexpressible and inconceivable: For ​who knows the power of God's anger? "How dreadful is the state of those that are daily and hourly in the danger of this great wrath and infinite misery! But this is the dismal case of every soul in this congregation that has not been born again, however moral and strict, sober and religious, they may otherwise be. Oh that you would consider it, whether you be young or old! There is reason to think, that there are many in this congregation now hearing this discourse, that will actually be the subjects of this very misery to all eternity. We know not who they are, or in what seats they sit, or what thoughts they now have. It may be they are now at ease, and hear all these things without much disturbance, and are now flattering themselves that they are not the persons, promising themselves that they shall escape. If we knew that there was one person, and but one, in the whole congregation, that was to be the subject of this misery, what an awful thing would it be to think of! If we knew who it was, what an awful sight would it be to see such a person! How might all the rest of the congregation lift up a lamentable and bitter cry over him! But, alas! instead of one, how many is it likely will remember this discourse in hell? And it would be a wonder, if some that are now present should not be in hell in a very short time, even before this year is out. And it would be no wonder if some persons, that now sit here, in some seats of this meeting-house, in health, quiet and secure, should be there before tomorrow morning. Those of you that finally continue in a natural condition, that shall keep out of hell longest will be there in a little time! your damnation does not slumber; it will come swiftly, and, in all probability, very suddenly upon many of you. You have reason to wonder that you are not already in hell. It is doubtless the case of some whom you have seen and known, that never deserved hell more than you, and that heretofore appeared as likely to have been now alive as you. Their case is past all hope; they are crying in extreme misery and perfect despair; but here you are in the land of the living and in the house of God, and have an opportunity to obtain salvation. What would not those poor damned hopeless souls give for one day's opportunity such as you now enjoy!" What Is Epiplexis in Rhetoric? How is Demonstrative Rhetoric Used? Are We Ready to Discuss the Inclusive 'We'? Is Erotesis a Rhetorical Question?